Yesterday, as I was browsing books for the Royal Wedding post, and found another British gem. 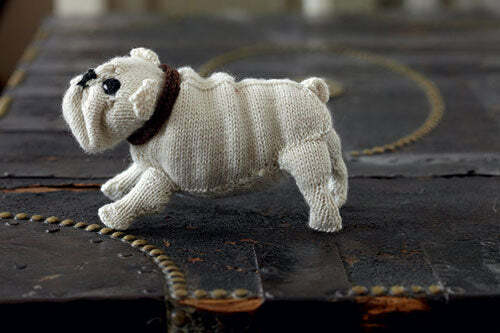 I don't have a dog, but would gladly adopt several of these from Knit Your Own Dog: Easy-to-Follow Patterns for 25 Pedigree Pooches by Sally Muir and Joanna Osborne. 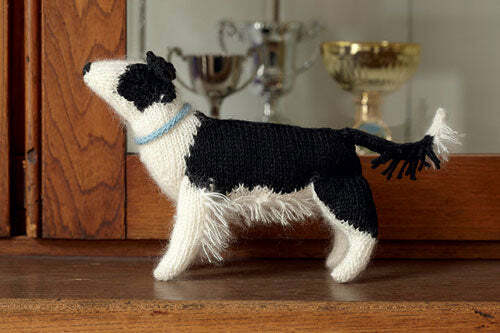 (Knit Your Own Dog is the American release, it was previously released as Best in Show in the UK). Apparently the book has been getting good exposure in the mainstream press. I always feel irrationally proud of crafters' succeeding in the non-crafting world. Hurrah! Hurrah knitted dogs! I don't think I can pick a favourite. The bulldog? The terrier? (These photos are from various sources online, but I believe they are all copyright Muir & Osborne). 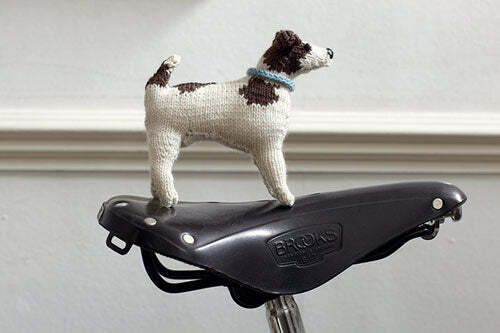 Must get back to much-less-whimsical-than-knitted-dogs world of cardigans. Sigh. Update January 2012: There's a sequel coming in paperback soon! Knit Your Own Cat.